I don’t have a joke. I just liked that title. I went out to clean the Traeger grill this afternoon and as I lifted off the cover this little fellow hopped out into the grass. 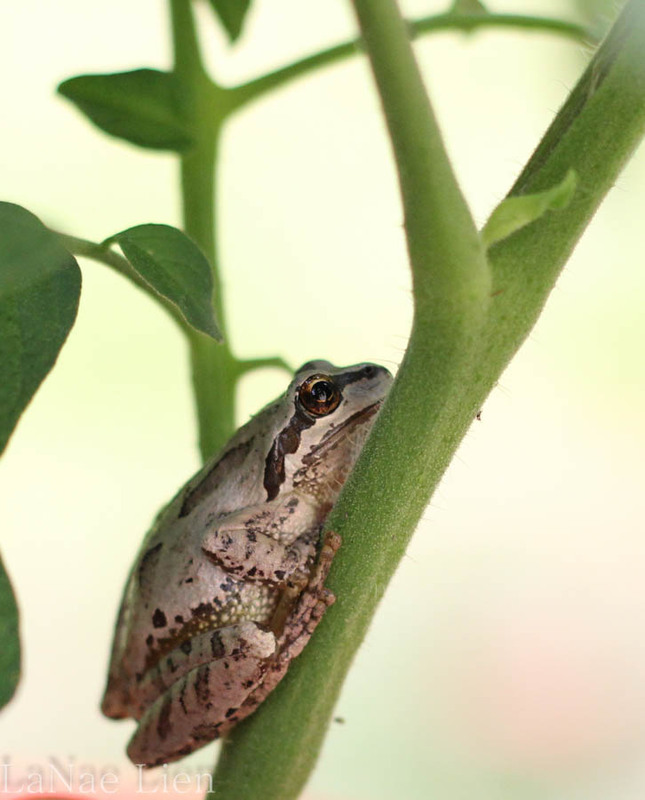 The husband was mowing the lawn and hadn’t reached the section Mr. Frog was now occupying. Fearing a slaughter I attempted to catch him. He hopped onto the side of a Homer bucket that holds an heirloom tomato and scrambled up into the plant. Well, how very convenient for me and my camera! Have I mentioned lately that I love my new camera? And the skills I’ve recently gained in my manual exposure class? Not saying I’m an expert by any means, but I feel like I’m getting some pretty cool photos all with my little own hands…auto need not apply. Happy. 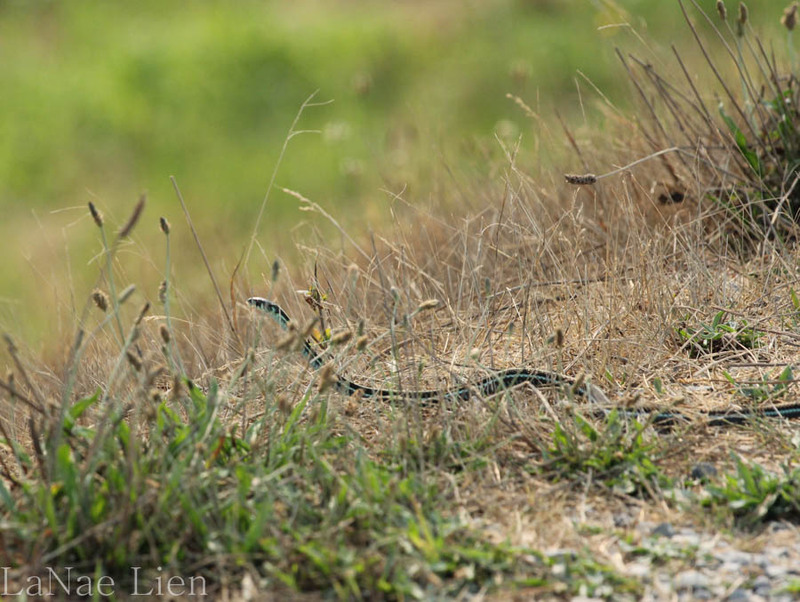 I think they’re both really good photos – I like the snake in the grass – he’s cute! (As long as he stays small). Thank you and I agree! And as long as he doesn’t slither across the path directly in front of me.